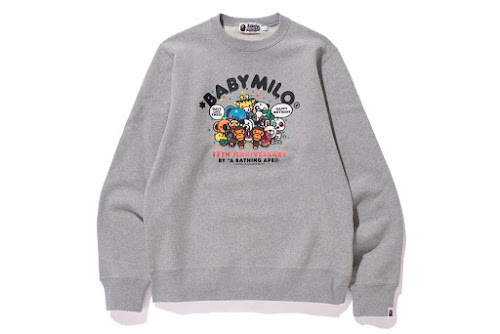 BABY MILO is turning 17 this year, and A Bathing Ape is celebrating with 17 limited edition items. 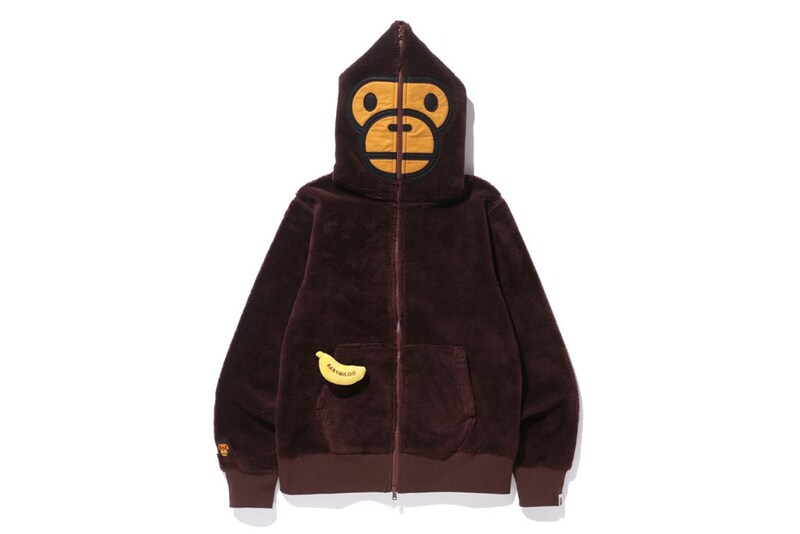 BABY MILO, BABY LISA and their world of characters come together across various graphic print jumpers, hoodies, crewneck sweaters, and basic tees with anniversary logos — our favorite piece being the ultra cozy BOA Zip Hoodie, a brown full-zip sweater resembling BABY MILO himself. 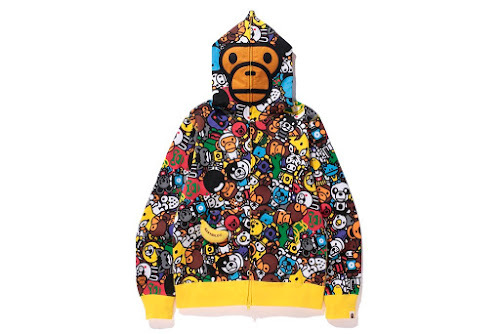 The collection wouldn’t be complete without special accessories and toys, and this festive offering includes a BABY MILO selfie stick, a plush doll, and a kendama — a traditional Japanese toy made of wood that resembles a cup-and-ball game. 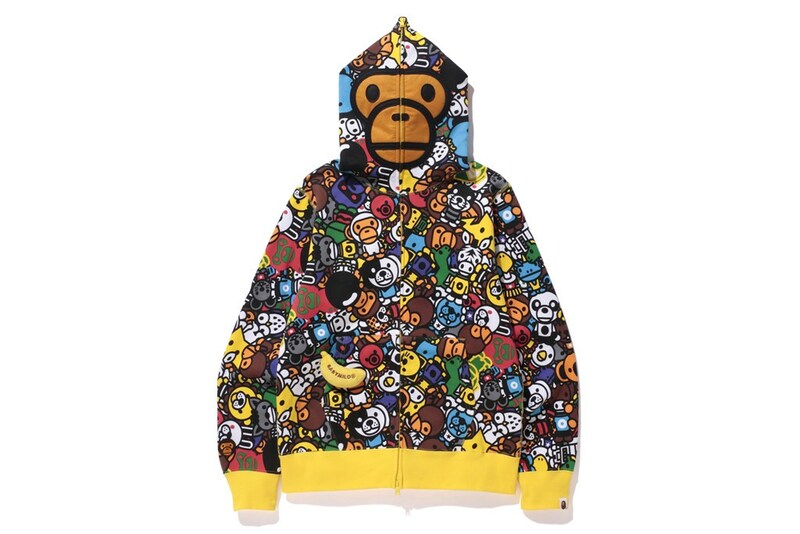 Look for the collection’s March 12 release at A Bathing Ape with a price range of ¥4,600-17,800 JPY (approximately $40-160 USD).